Dubai, 02 August 2018 – The award-winning brand, Mad For Garlic, the world’s largest garlic themed restaurant chain, has entered into an exclusive agreement with Franchise Arabia Group to expand presence in the Middle East North Africa region. Mad For Garlic is owned by Korean restaurant firm “Sun At Food Co., Ltd” that has been developing unique service restaurant concepts in South Korea and internationally since their inception in 1995. Today, the company owns a bouquet of proprietary and franchised brands that include Mad For Garlic, Bistro Seoul, Sichuan House, Modern Nulang, Sikdang Don and Texas de Brazil. Celebrating over a decade of success since its successful launch in 2001, Mad for Garlic is on a path towards global expansion. In 2013, the brand became further renowned as it was crowned the best performing Italian restaurant concept in Korea by Korea Times and Korea Herald. The brand so far has 40 domestic branches and four overseas branches in Singapore and in Hong Kong. In Q4, 2018, Mad for Garlic plans to open its first branch in Taipei, Taiwan. “We have found our competitive edge with garlic,” said Ted Park, director of global business team of Sun at Food that owns Mad for Garlic. Garlic is scientifically proven to help prevent various diseases, including high cholesterol, high blood pressure and atherosclerosis, among others. A recent study by Chinese scientists argued that eating uncooked garlic twice a week can halve the risk of lung cancer. The Seoul-based firm has four overseas branches ㅡ one in Singapore, three in Hong Kong. The combined sales of the four branches last year accounted for 10 percent of its entire sales. The company plans to enter five more countries by 2020 in an ambitious project of generating half of its sales in overseas markets. Amongst the many intriguing factors of this brand, one is their skillfully designed menu offering over 50 garlic themed dishes like Garlic Snowing Pizza, Dracula Killer, Garlic Sizzling Rice and Garlicpeno Pasta, and others. 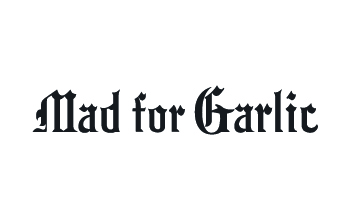 Now, Mad For Garlic is looking for reliable franchise partners to join our growing global network with all the training, marketing, and business development support you’d expect from an award-winning brand with over a decade of experience in the casual fine dining sector.